It’s STAMPtember! A Simon Says Stamp New Release…. And A Scavenger Hunt…. Today is an exciting day in our crafting calendar! It is STAMPtember – a month long extravaganza of stamping gorgeousness! I know I cannot wait to see what all the fabulous companies have in store for us and our wallets! But first….. Simon has a new release – YAY! And we are having a huge PARTY today to celebrate and there are some great deals to be found! Make sure to visit the Simon Says Stamp blog for TONS of inspiration from all the designers. There are lots of different promotions going on across the blogs, so visit as many as you can! Treat it like a scavenger hunt, you never know what treat you may find along the way! 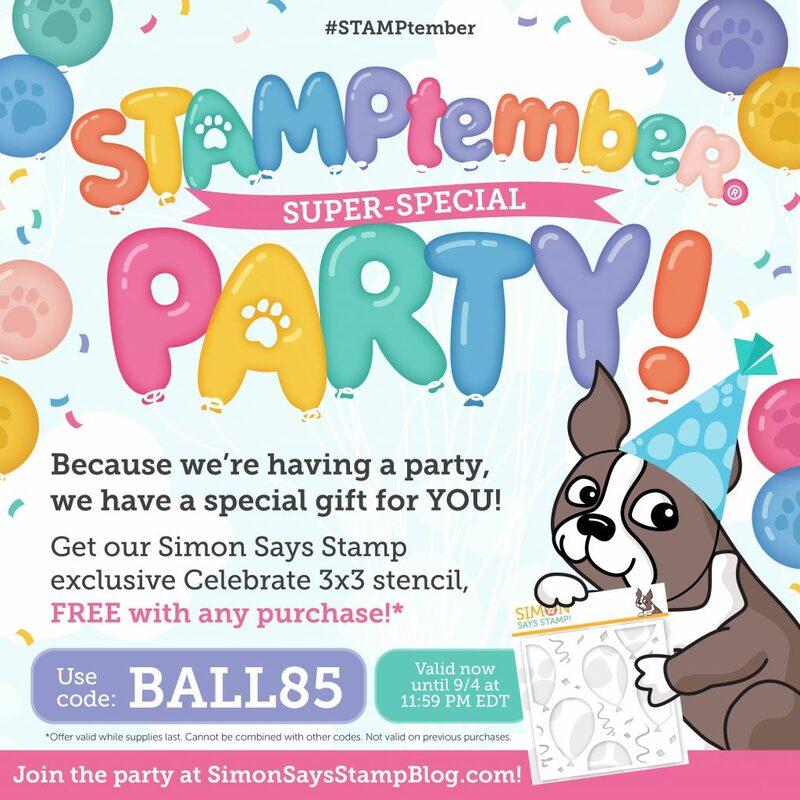 My STAMPtember promotional banner is just below – who doesn’t love stencils, so make sure you use the code to grab your Celebrate stencil! After all that excitement, I have two projects for you today using the super cute Hip Ginger set. This set has lots of sweet quirky images to customise your little hipster gingerbread man. I have used the set in a more traditional way as for me, gingerbread means Christmas/winter. First up, I am sharing a fun CAS card using the main image from the set – the gingerbread man. And what do you do with a cute little gingerbread man – you make him wobble! Of course you do! I taped an A2 panel of white cardstock to my work surface and then secured the SSS Holiday Tree Medallion stencil over the top with low tack tape. I blended Salty Ocean Distress Oxide in the centre of the circular section of the stencil and Tumbled Glass Distress Oxide around the edge. I absolutely LOVE the new Tumbled Glass Oxide – the colour is really so pretty and I thought perfect for Christmas :). Without removing the stencil, I applied glitter paste over the top. It is really sparkly in real life but so hard to capture in photos (see below for close up!) I set the panel aside to dry – it takes a couple of hours. 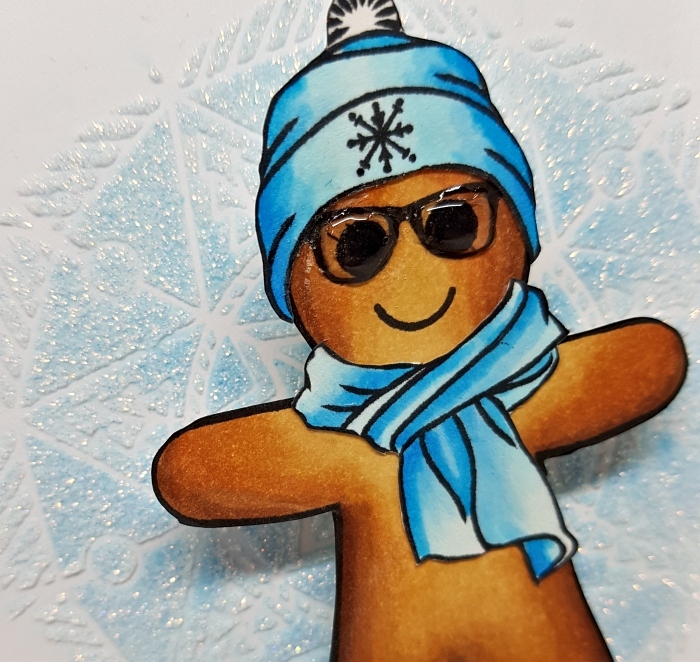 The gingerbread man, glasses, hat and scarf were stamped and coloured with Copics (numbers listed below). I then fussy cut the images and went around the edges with a black marker. The hat and scarf were adhered onto the hip gingerbread man with wet adhesive and a mini action wobble adhered to the back. Once the panel had dried, I die cut it with a SSS Stitched Rectangle and stamped one of the sentiments from the set across the bottom using Versafine Onyx Black ink. I think he looks as if he is about to give you a great big “you are amazeballs” hug! The panel was adhered to an A2 top folding base card with double sided tape and the gingerbread man is popped up on his action wobble! I finished by adding some Tonic Nuvo Glaze onto his glasses for that glassy shine and some Tonic Nuvo Aqua Shimmer to the hat and scarf for a little bit of sparkle. My second card is definitely not CAS but I went for a similar colour palette. 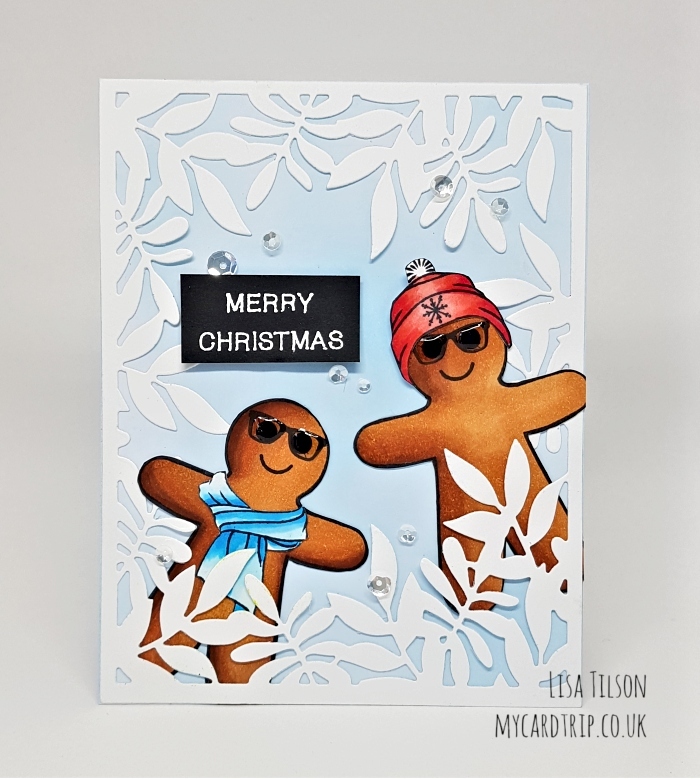 I decided to pair the gingerbread men with the Leafy Frame die, just to add a bit more interest – I think this die can be used all year around, whatever the occasion. The little men were stamped, coloured, fussy cut and set to one side (Copic numbers are listed below). I blended Tumbled Glass Oxide over a 110lb base card and then adhered the die cut leafy frame using wet glue. I carefully inserted both the men amongst the leaves and stuck them down with wet adhesive. A sentiment from Arctic Christmas was then stamped onto black cardstock with Versamark ink and white heat embossed. This was popped up with foam tape. Lastly I added some sequins around the card for some sparkle, some shimmer onto the hat and scarf and some Glossy Accents onto their glasses. 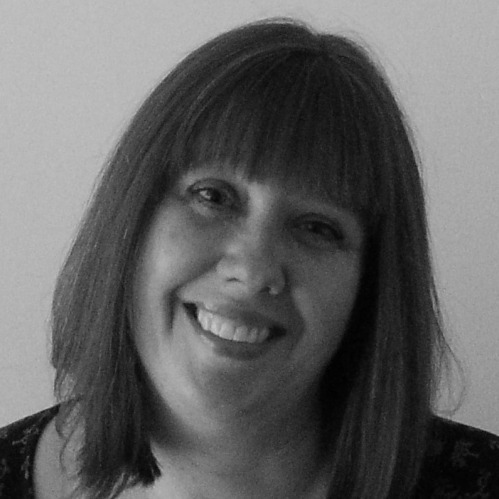 That finishes my two projects, thank you so much for your visit and don’t forget to go and visit as many blogs as you can to see what they have in store for you! I am sure you will be blown away by the talent. And keep looking for those fabulous deals….. Once again I link to the Simon Says Stamp blog, so that you can start your scavenger hunt there! If you would like to see more projects from me, then I would love it if you would subscribe by using the option in the right hand column. Thank you so much for your support! Love the use of the leaf die cute to make a holiday card. Always love the look of bringing in non-traditional holiday products to use in holiday cards.